View the meeting live here. The Montgomery County Council has scheduled a Pepco debriefing for July 19 at 12:30 p.m. to gain a better understanding of the utility company’s performance following the storms that struck the region on the evening of June 29. View the meeting live here. Four days after the storm, approximately 100,000 customers in Montgomery County were still without electric power and more than 100 of the county’s 800 traffic signals were not operational. At the briefing, Maryland Public Service Commission Chairman Doug Nazarian is expected to describe how the Commission will assess Pepco’s performance in restoring power. County officials said Pepco CEO and Chairman of the Board Joe Rigby has been invited to share his perspective on his company’s response. County Executive Isiah Leggett also has been invited to discuss the county’s role in responding to the storm and any lessons learned from the experience. In addition, Maryland State Delegate Brian Feldman and State Senator Rob Garagiola, who sit on General Assembly committees with jurisdiction over utilities, will share their perspectives. The debriefing will be held in the Third Floor Council Hearing Room of the Council Office Building at 100 Maryland Ave. in Rockville. The meeting will be televised live by County Cable Montgomery (CCM—Cable Channel 6 on Comcast and RCN, Channel 30 on Verizon). 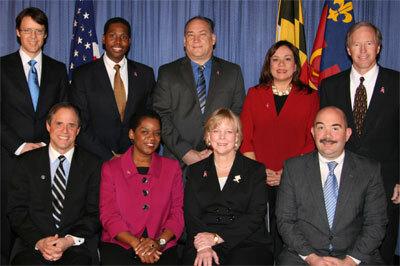 The broadcast also will be available via streaming through the County’s web site at www.montgomerycountymd.gov. Want to learn more, view Council President Berliner’s July 9 press conference here on MyMCMedia.org. In this video report, Susan Kenedy tells you more about the hearing too. The Montgomery Channel 21 will also be broadcasting the meeting live.